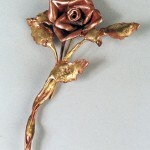 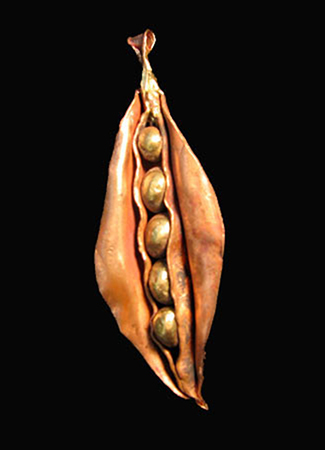 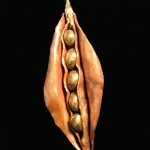 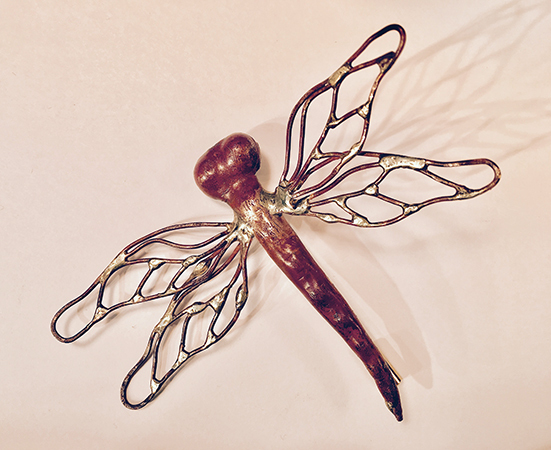 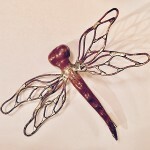 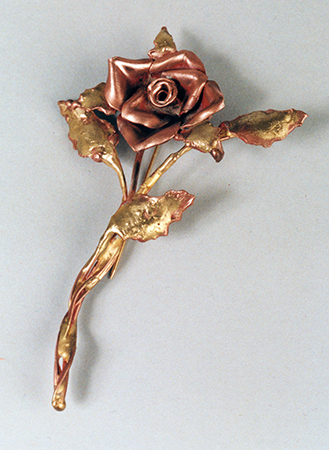 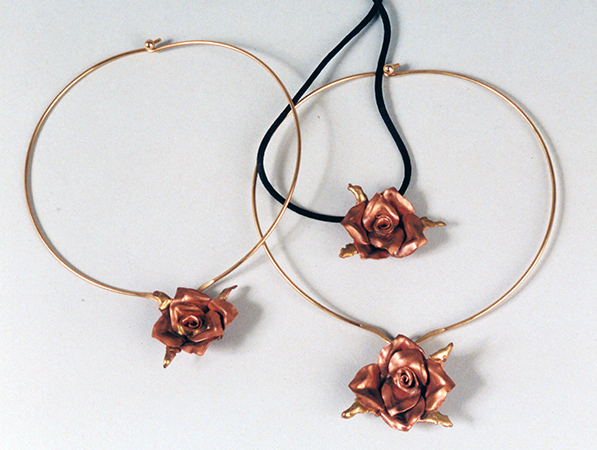 As a metal smith I create lapel pins, a brooch, pendent, necklace, and a charm from copper and bronze. 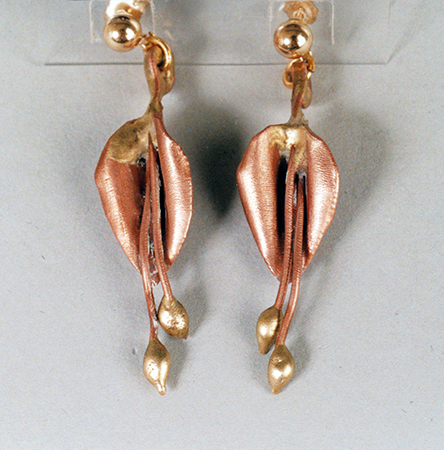 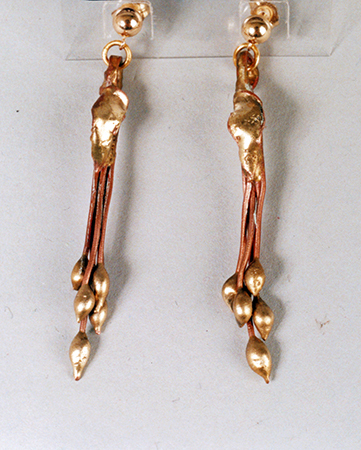 My earrings dangle from either a post or are pierced earrings. 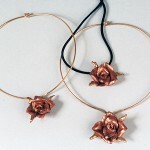 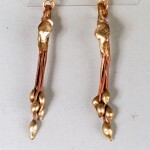 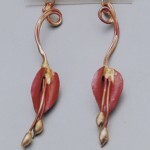 They can be heat-treated or patina. 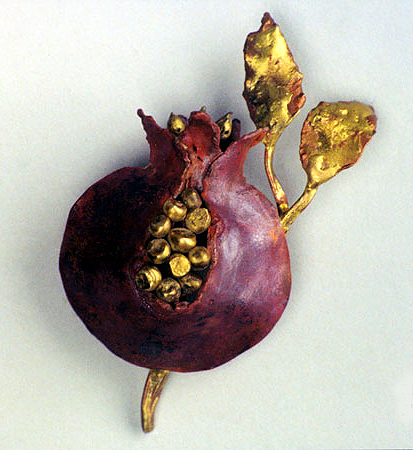 I love the organic forms, flowers, leaves, seeds, and especially pomegranates! 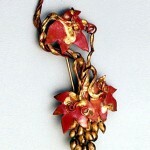 Many women members of the Pomegranate Guild of Judaic needlework have purchased pomegranate pins from me. 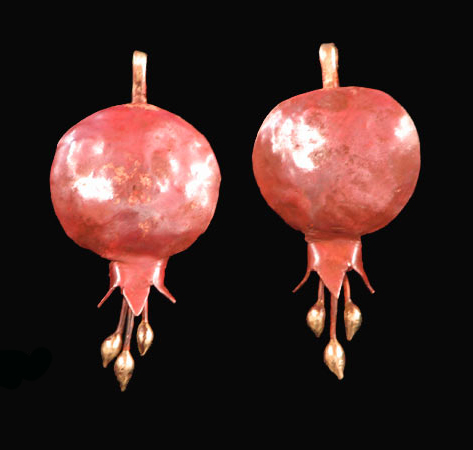 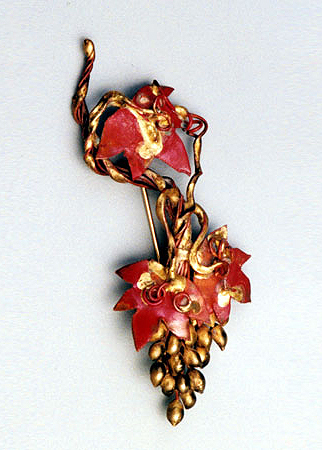 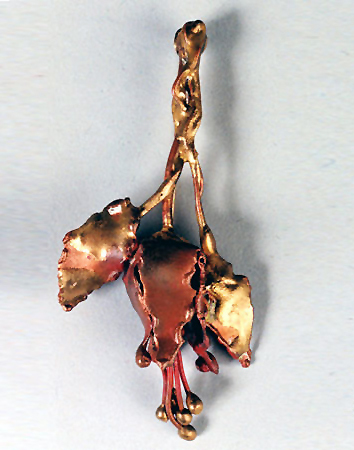 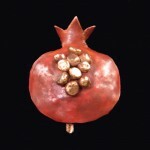 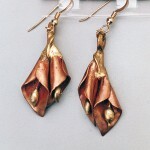 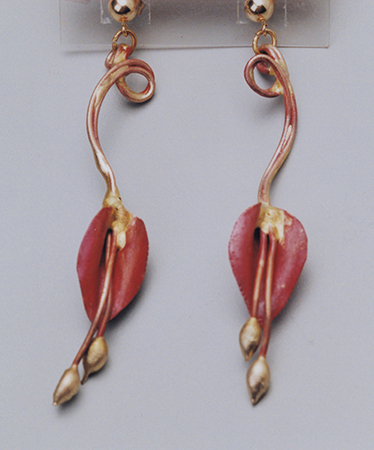 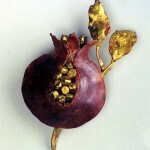 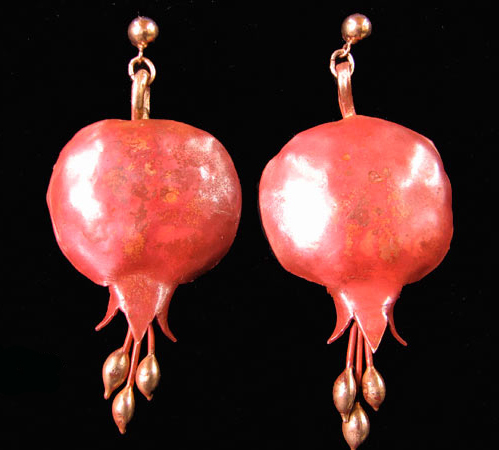 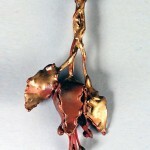 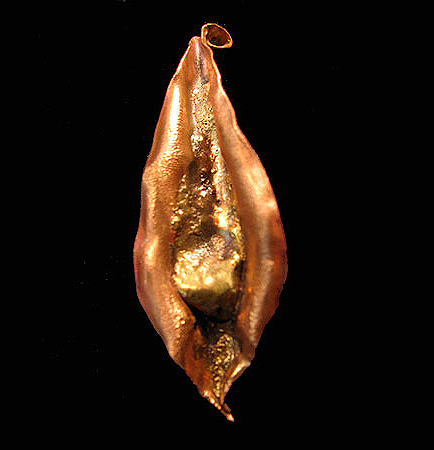 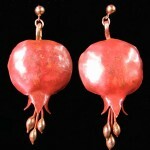 The heat-treating of the copper looks just like the skin of a pomegranate.